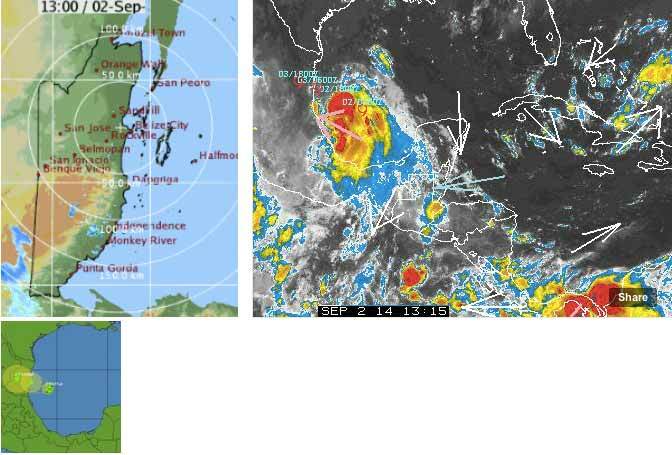 Belize NMS: Weather conditions will continue to improve over the area. 24-hour forecast: Sunny with cloudy spells today and partly cloudy tonight. Showers and thunderstorms will be generally isolated with a bit more in the south this morning and tonight and over inland areas this afternoon. Winds: East to southeast at 10-20. Today: Winds: E-SE 10-20 kt. ; seas: Choppy. ; waves: 3-4 ft.; generally isolated showers and thunderstorms with a bit more in the south. Tomorrow: Winds: East 10-20 kt. ; seas: Choppy . ; waves: 3-4 ft.; isolated showers and isolated thunderstorms. Marine Outlook: Wednesday night:- Winds: E-SE 10-20 kt. Seas:Choppy-moderate; waves: 3-5 ft. Isolated showers and isolated thunderstorms. General Outlook: For Wednesday and Wednesday night is for partly cloudy skies with isolated showers and isolated thunderstorms. Tropical Weather Outlook: Tropical Storm Dolly is centered near latitude 22.6N and longitude 94.8W or about 210 miles East-Southeast of La Pesca, Mexico. Maximum sustained winds are 45 mph and Dolly is moving to the NW at 13 mph. 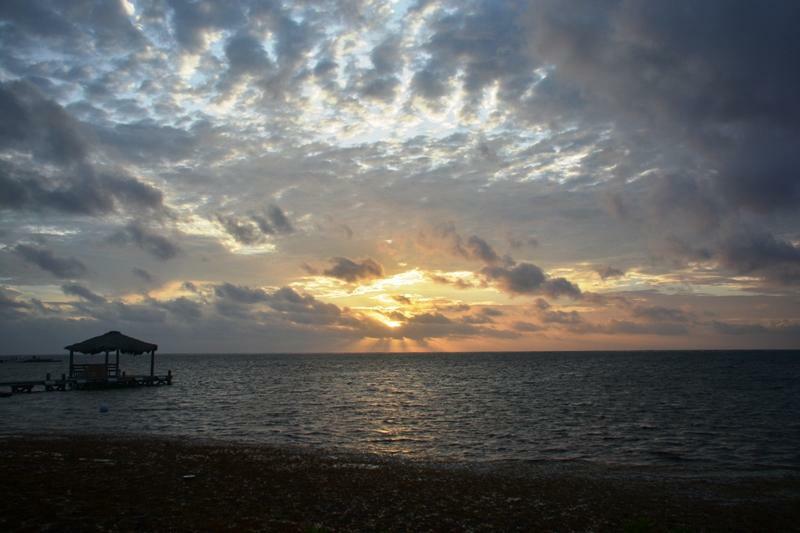 On Ambergris Caye this morning it's calming and clearing from yesterdays gloom. Our expected high is 89. There was rain down in Toledo early this morning, due to a small ITCZ, but that is n ow decaying, so not much rain left in Belize anywhere. That low pressure centre we had over the last two days, has now sucked in that wet area in the Gulf and is now Tropical Storm Dolly. There is also a rotating air over the Bahamas. Looks like Belize is going to see a generally dry sunny day. . . . There is high level cloud, and lower cloud will build up over the day.